CEO Cook used to Twitter to speak out against Trump's most recent ban. Without mentioning his name directly, Apple CEO Tim Cook spoke out against the decision announced by Donald Trump Wednesday to try to ban transgendered people from the military. “We are indebted to all who serve. Discrimination against anyone holds everyone back. #LetThemServe,” Cook shared at 3 p.m. Eastern on his Twitter account. 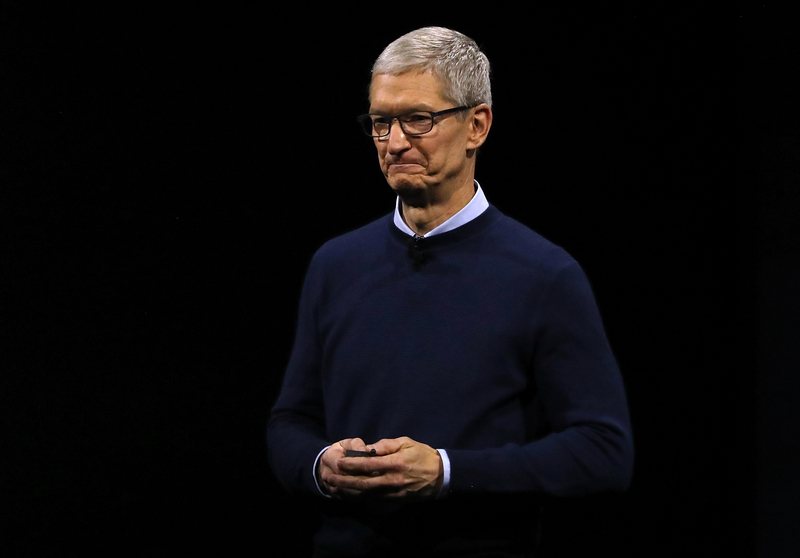 “If hearing that the CEO of Apple is gay can help someone struggling to come to terms with who he or she is, or bring comfort to anyone who feels alone, or inspire people to insist on their equality, then it’s worth the trade-off with my own privacy,” Cook said in his editorial, titled Tim Cook Speaks Up. Cook set a powerful example in 2014 when he came out publicly via a Bloomberg editorial. In an interview with Stephen Colbert on The Late Show, Cook said that he felt a “tremendous responsibility” to reveal his sexuality in order to set an example for LGBTQ youth struggling with their own identities. It appears that Cook once again feels responsible for using his voice, this time to elevate equality in the transgender military service debate. Apple is the largest tech company in the world, and a word of support from its CEO could make a huge difference to a president as economically minded as Trump. Cook took part in Trump’s tech summit in June, and the president has claimed that Cook promised to build him “three big plants” in America. Talk is cheap (as are tweets). Vote with your feet and resign your spot on Trump’s technology council. Please cancel any plans to bring mfg to America. Hold trump hostage as he is doing same. Other leaders in the tech community have also voiced opposition to this ban. Mark Zuckerberg expressed similar sentiments in a Facebook post, and Google CEO Sundar Pichai tweeted the same #LetThemServe hashtag as Cook in his own statement. I am grateful to the transgender members of the military for their service. # LetThemServe.